I write, speak, invest, network, and question to stimulate fruitful conversation. Let's talk about human flourishing! It begins with freedom. Holy leisure is the key to human being, freedom and generativity. Please join me in the adventure of realizing Christ! Support for Art and Artists – Not as Expensive as You Think! How do you get from three wishes to magnifying God to lions and seeds and Holy-Holy-Holy to rubber bands, balls and balloons?? Well, I’ll tell you! You ask for this talk. It’s a lot of fun to give, and very hard to sum up in a short precis. I’m giving a picture of the glorious freedom of the children of God as fully real, fully realized, three dimensional, whole. To do that, I have to get my audience to speak that same language. 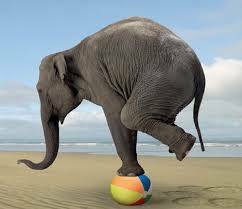 We do that with concrete examples of three kinds of balance. I hate to say it, but you really just have to be there! In “Stour Valley and Dedham Church” Constable has painted the Vale of Dedham – a familiar and beloved area of his native England. “The Merry Drinker,” by Frans Hals This is a portrait of an unnamed man, called in the title only ‘a merry drinker’. Giotto’s painting, The Wedding Feast at Cana, portrays the literal and spiritual senses of this story. Berlinghieri’s St. Francis appears behind the altar of San Francesco in Pescia, Italy. It is an excellent example of art ordered to divine worship.